How to Rip Audiobooks to MP3? Solved! How to Rip Audiobooks to MP3? Fixed! With the popularity of audiobooks and audiobook providers, reading could be easier to achieve as you can listen to audiobooks on portable electronic products without any restriction instead of carrying a big physical book in hand. There are thousands of best producers who offer various types of downloadable audio books. But audiobooks purchased from different online digital store are encoded in special audio formats. For example, Audible books have the AA/AAX extension while iTunes a .m4b extension (protected AAC audio). As consequence, you will be limited to play audiobooks on selected mobile devices. If you'd like to listen to audio books on any device, such as MP3 player, the best way is to rip audiobooks to MP3 and then you can sync them to MP3 devices, burn audiobooks into CD, play them in the car, etc. So, how to rip audiobook to MP3? Just read on this article to find the effective answer. Audiobooks can be divided into two types, respectively DRM-free audio books and DRM-protected audiobooks purchased from iTunes and Audible. There are a wide variety of free common audiobook converter to convert unprotected audiobooks to MP3 with ease. But they don't work on iTunes and Audible audiobooks. 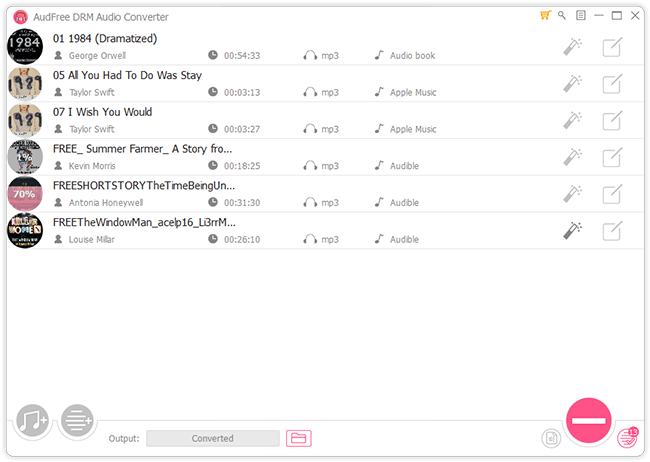 To rip all audiobooks to MP3, you'd better to look for a professional and powerful audiobook converter, which can not only remove DRM from Audible and iTunes audio files, but also convert Audible AA/AAX files to MP3 and convert iTunes M4B to MP3. Of course, the basic function of that audiobook to MP3 converter is to extract MP3 from non-DRM audiobooks without touching original files. AudFree Audiobook to MP3 Converter is such a commercial software designed for audiobooks. No matter which kind of audiobook you have, it can rip them to MP3, FLAC, WAV, AAC, M4A and M4B without DRM protection by doing a few clicks. 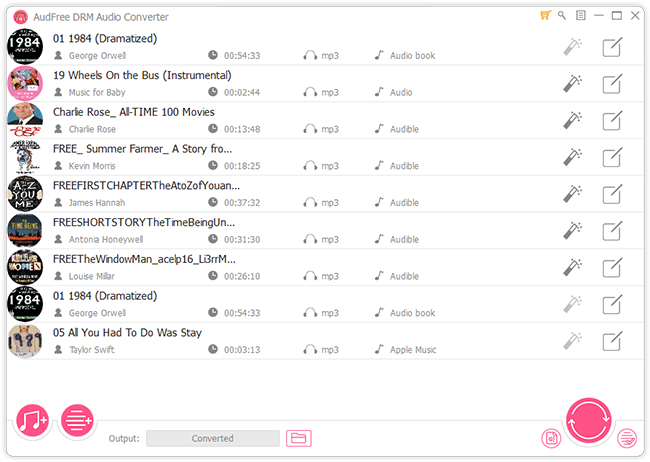 It also allows users to split audiobooks by chapters and customize ID3 tags in accordance with your needs. 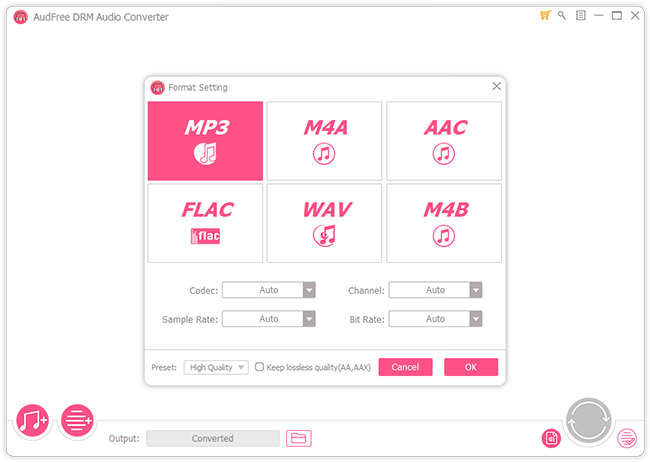 Convert DRM AA/AAX books to MP3, AAC, WAV, FLAC, etc. Convert iTunes M4B books to MP3, AAC, WAV, FLAC, etc. Rip audiobook CDs to MP3, FLAC, AAC, etc. How to rip audio books to plain MP3 format with AudFree Audiobook to MP3 Converter? Let's get started step by step in the following part. Note: As a premium tool, you need to purchase the full version to enjoy all features. Otherwise, you can only convert the first 1/3 content for each file. Just download, install and launch AudFree audiobook converter on your computer and then register it with your register name and code to activate it. You can add audiobooks by clicking the first 'Add Files' button to choose audio files from iTunes library. Alternatively, you can drag and drop from the folder on your computer to AudFree's main interface. The default audio format in AudFree audio book to MP3 converter is MP3. So, you can just keep default output audio format. If you'd like to get other audio format file from audiobooks, please click the 'audio' icon to open the setting window, in which you can define output format as MP3, FLAC, AAC, etc. and change bit rate, sample rate, audio channel, codec. When all settings are ready, please hit on the 'Convert' button at the bottom-right corner. 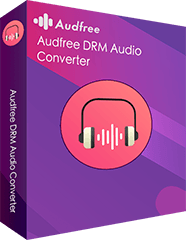 You will see AudFree audiobook converter will begin to extract MP3 from audiobooks while getting rid of DRM lock losslessly. After conversion, you can locate converted MP3 audio books on your computer by touching the 'file' icon. It's time to transfer them to favorite devices and music players for playback. In addition to online audiobooks, there are also some CDs containing audiobooks. It could be more inconvenient to listen to audiobooks CDs for reading, since they can only be playable in CD players. If you have some such audio files, you might also rip audiobooks from CD to MP3 for better playback. 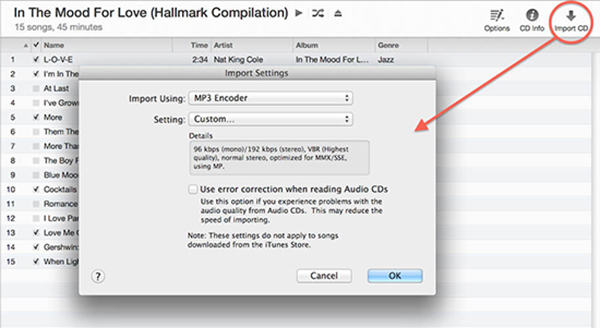 Yes, AudFree Audiobook to MP3 Converter works on audiobook CDs as well. But if your audio books are unprotected, it's better to use free CD rippers to rip audiobook CDs to MP3, such as iTunes, Windows Media Player, VLC, etc. Step 1. Open iTunes app on your computer and then click 'iTunes' option from the top menu bar to choose 'Preferences' button. Step 2. Touch the 'Import Settings' button in the pop-up window and choose 'MP3 Encoder' as output format. Step 3. In the 'Setting' section, you can set output audio quality as 'High Quality' (160 kbps) and click 'OK' to confirm it. Step 4. Click the 'Audio CD' from the right-side menu bar to load an audio CD into your computer. After you have selected favorite audiobooks that you want to import to iTunes, please click on the 'Import CD' button to load them. And then your audiobook CDs will be transferred to MP3 properly. Step 1. Please pop your audiobook CD into your CD/DVD drive. 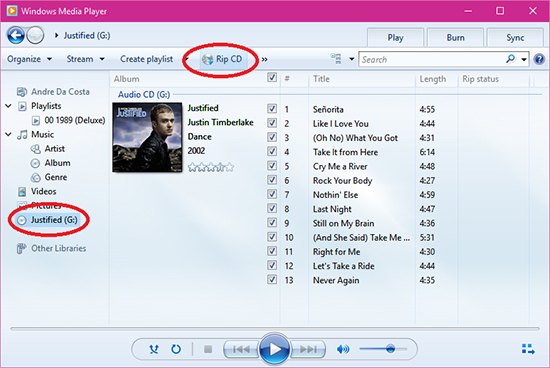 You will see Windows Media Player will pop up and there is a small button to rip the CD in the art cover. Step 2. Please click the 'Rip Settings' button from the top menu bar to set output format as MP3 and customize output audio quality as you like. Step 3. When all things done, please simply hit on the 'Rip CD' button, and audiobooks from the CD will be ripped as MP3 with ease. The ripping time depends on your CD/DVD drive speed and CPU speed.